• A jury instructed by the Magistrate decided the defendant’s guilt or innocence. Many of the accusers came from a traditional way of life tied to farming and the church, whereas a number of the accused witches were members of a rising commercial class of small shopkeepers and tradesmen. 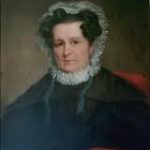 Salem’s struggle for social and political power between the older traditional groups and the newer commercial class was one repeated in communities throughout American history. Amazingly, those who confessed to being witches – whether it was true or not – were not executed. The Puritans believed that once a person made a full confession, his or her fate should be left in God’s hands, not man’s. These confessors were kept apart from the other prisoners, and were called upon to testify in other trials if they could be helpful to the prosecution. Fifty-five people in the Salem area confessed to witchcraft in 1692. 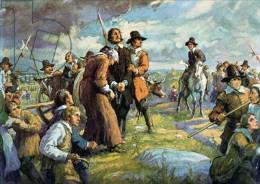 From June through September of 1692, nineteen men and women were carted to Gallows Hill, a barren slope near Salem, for hanging. Another man of over eighty years was pressed to death under heavy stones for refusing to submit to a trial on witchcraft charges. More than 100 others were still in jail – among them some of the town’s most prominent citizens. Bishop ran a tavern outside of Salem, but totally disregarded the laws governing taverns. She stayed open late into the night, allowing her customers, some only in their teens, to drink and play the forbidden game of shovelboard, carousing loudly enough to disturb her neighbors’ sleep. 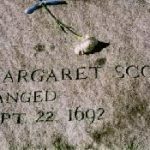 Her reputation was undoubtedly widespread by 1692 – she had never met any of her accusers until her questioning at trial. 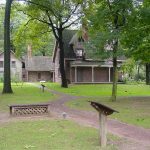 A neighbor’s ten-year-old daughter became sick, and had periodic fits, during which she sometimes accused Elizabeth for causing her illness through witchcraft. Evidence was given by so-called damaged individuals who said they had been visited in their dreams by ghosts who claimed they had been killed by Elizabeth. 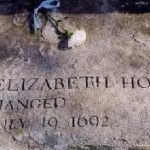 Many of her neighbors came to her defense, but Howe was hanged on July 19, 1692. The witch hysteria began to spread to other communities, which greatly concerned some citizens. On October 3, 1692 Increase Mather, then president of Harvard, denounced the use of spectral evidence: “It were better that ten suspected witches should escape than one innocent person be condemned.” In response Massachusetts Governor William Phipps prohibited further arrests, released many accused witches and dissolved the Court on October 29.